How to Beat Procrastination in IIT JEE / NEET Preparation? How to Beat Procrastination in IIT JEE / NEET Preparation? How to Beat Procrastination in IIT JEE / NEET Preparation? You’re trying to understand a concept, unable to do, and you stop studying. You are thinking, “there is lots of time remaining, I can do it later”. You are in class 11 and targeting IIT JEE or NEET. You feel you have plenty of time left to prepare for the entrance test and leaving out topics from class 11 syllabus. This is procrastination. Many students face this issue. They often get forced behind in their preparation. The backlogs keep on rising and JEE/NEET preparation gets hampered due to this wasted time. The cause may be a lack of motivation. It’s frustrating. And as time passes, the only thing that seems to change is the hour on the clock. It’s okay sometimes to miss the daily study schedule, you can cover that during the week. But what’s not good is staring at your books, daydreaming, and doing nothing. Students often presume that in order to clear an exam like JEE or NEET, they need an inspiration. Action is what forces inspiration. The more you do, the better you get. The better you get, the more you do. If you are not understanding a topic or not able to solve a question, move on to another topic or question, or change the subject you are studying. The next day ask your doubts from the teacher. Come back to the question and solve it. You will feel happy to get it done this time. If you’re stuck on a harder problem, start solving easier problems. When small problems gets resolved, it gives you a feeling of being a winner and pushing you to do more! It’s important not to lose the momentum in your JEE/NEET preparation. You need to keep studying regardless of blockages like doubts or some external factor. When you try and fail to learn a topic or concept, the energy required from you is high to continue, then it’s harder to concentrate in studies. Do something else for 10-15 minutes to build the momentum. Come back to the topic/concept and look into it from a different angle. You may able to grasp it now. Sometimes getting out of an environment do wonders. Your brain will start to look at things differently. Give yourself option to re-energize when you are getting frustrated with not knowing and understanding the topic or problem. 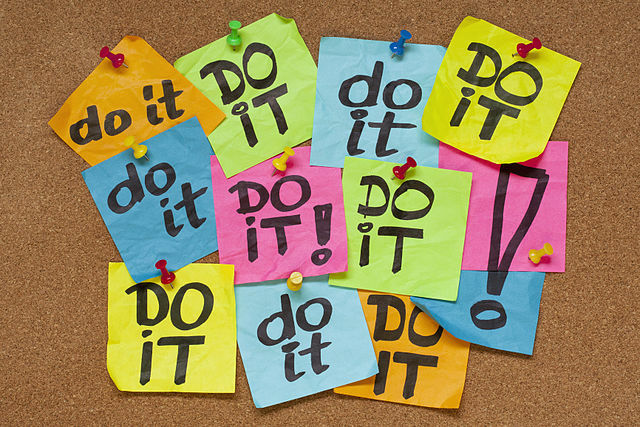 Beat the procrastination and clear your target exam. All the best!